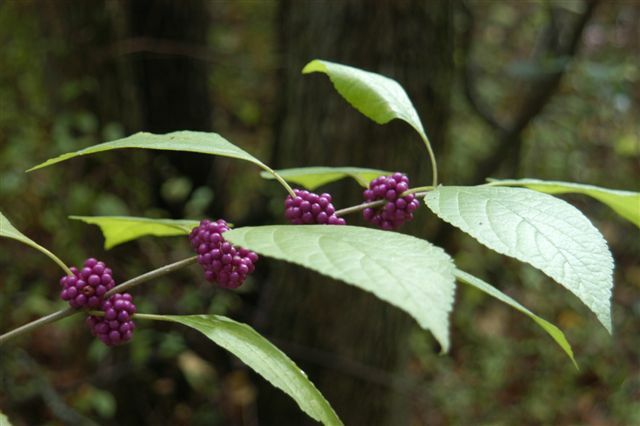 HABIT: Sprawling native shrub with insignificant pink flowers in spring and extremely showy purple berries in fall, which last into the winter. Versatile, carefree plant. White berried plants are available. Native eastern USA to Texas. CULTURE: Well-drained soil is important, but adapts to any soil type. Very easy to grow. Does not work well for cutting – berries fall off. 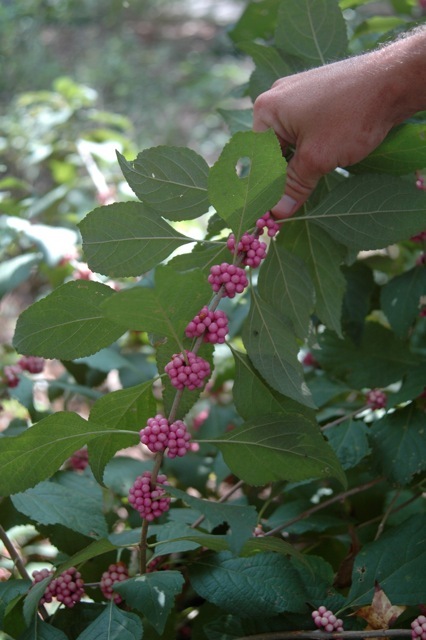 USES: Free form shrub or mass planting. Fall berry color. PROBLEMS: Needs more water than most native plants.